Like many other Americans (78% to be exact), I am ready for change. Wherever you stand on the political spectrum, whatever your issues, chances are, you are ready for something to be different in D.C., on Wallstreet, in the world. Listening to the news this morning got me a bit welled up. And just looking at the schedule of what is to come today is making me more anxious than a kid at the Christmas dinner table, awaiting his presents–or presence–in this case. 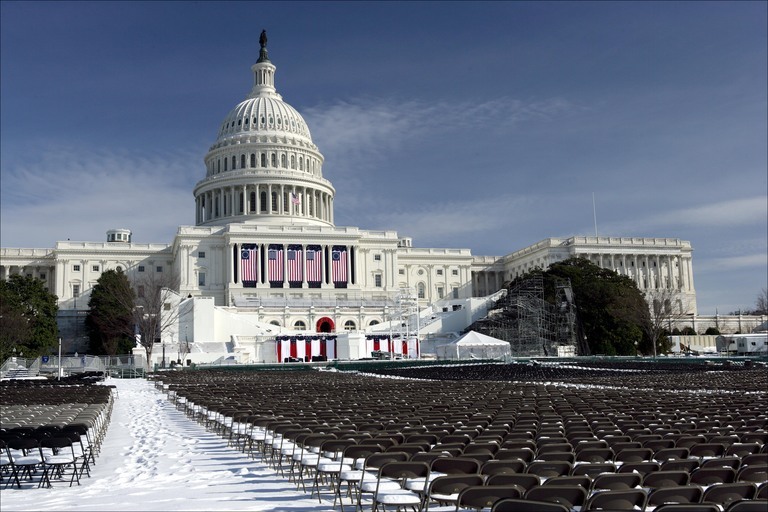 But beyond this excitement, I can’t help but think of the planning ramifications of inauguration day. Why is it that only on special occasions, we close off car traffic and encourage people to take mass transit or become pedestrians? Why is it that only in this extreme instance of adding 2 million people to the urban grid of Washington D.C. do people get sense knocked into them? At the far ends of a spectrum, there are lessons to be learned. If it makes sense today, than it should make sense tomorrow. We can learn from the extremes and apply them in moderation. No, it might not be entirely appropriate to make the area car free permanently. But we can certainly continue to encourage foot traffic and mass transit, instead of focusing on moving automobiles as fast as possible. Hope, people! Keep it alive.